Whisk together flour, baking soda, salt, and cinnamon in a medium bowl. Put butter in bowl and mix on medium speed for 2 minutes, until smooth. Add sugars; mix 2 minutes. Mix in eggs. Slowly add flour mixture; mix until just combined. 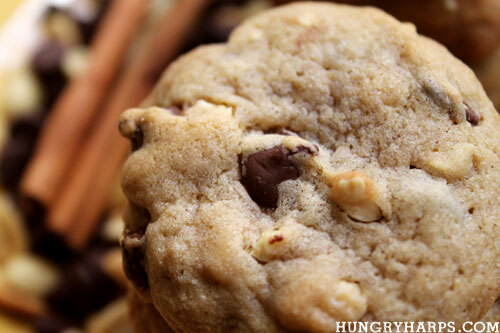 Fold in chocolate chips, peanuts, and vanilla until well blended. 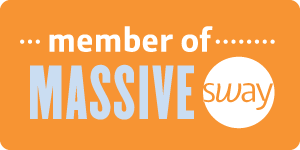 If you are wanting to create your own photo book, Kodak is extending an offer to my readers of 40% off between now and August 31, 2011. 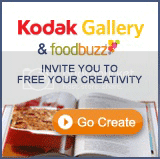 Follow this link www.kodakgallery.com/creativity, and start making your book today! Choc chip cookies are such a great comforting snack-always bring me back to childhood days. 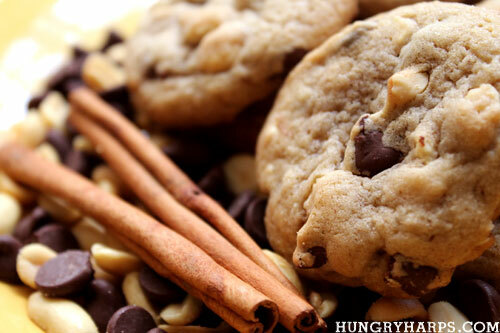 I like that you added the cinnamon and peanuts, they make for an extra tasty cookie-yum! 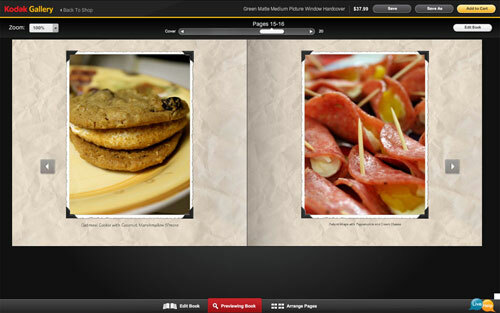 The photo book is a neat idea that Kodak has come up with, especially for food bloggers! 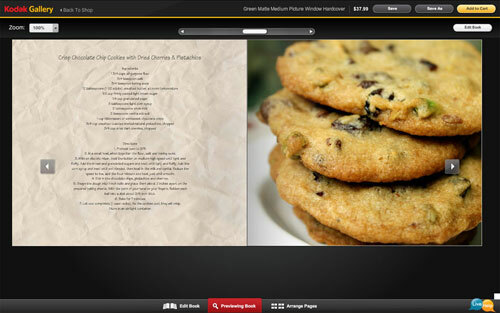 What a GREAT recipe, terrific idea to add cinnamon. 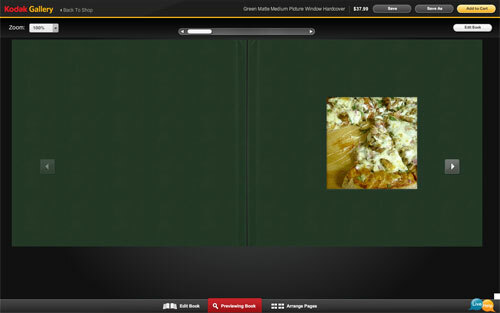 And the cookbook looks fabulous! So easy. Just wish they gave you a downladable version so we could share in the whole book.